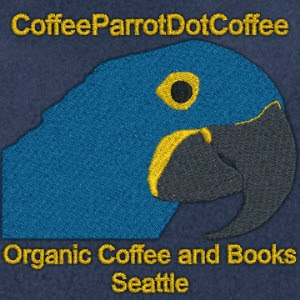 Our Hyacinth Macaw Parrot and Spokesmodel Princess Tara is pleased to announce the launch of her new website CoffeeParrotDotCoffee where her fans can purchase autographed copies of her very own fantasy novel series, the Princess Tara Chronicles, about a parrot that just happens to be a witch, directly from her. Princess Tara also will have available 100% parrot friendly coffee beans roasted to order, and other unique parrotphernalia. Drop in for a visit! We hope to see you there. With every book purchased, Princess Tara will include one of her flight feathers, which makes for a terrific bookmark.